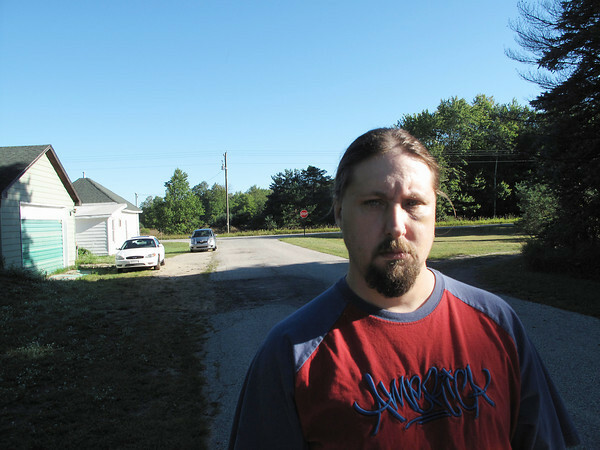 Richard Crow stands near where he was violently assaulted and robbed the night of August 9 in Thompsonville. His stolen cell phone was later tracked to Wellston, then New York City. Authorities continue to investigate and are seeking the public’s help in solving the crime.